The Lord was highlighting the word “UPGRADE” to me this morning. As I saw this word, I could hear it being heralded in the heavens by the Lord. I then saw a sign in the spirit that said, “DIVINE UPGRADES, THIS WAY” with a huge arrow pointing to the right. The Lord showed me that just as those moving into upgrades right now may come head to head with a spirit of jealousy, there is an equal warning for those moving into the upgrades to guard their hearts from offense and bitterness and to be ones who bless. As God’s direction is followed in obedience and many step into these divine upgrades, the Lord showed me that the positioning in great favor will take place to release His fire. In these divine upgrades, there is an increase of the fire of God upon eyes and ears to see and hear what God is saying. As divine alignment takes place with what He is saying, I saw the fire of God come out of mouths with a weightiness never experienced before and SUDDENLY places will be ignited with the fire of God. I must speak up, for those who have eyes to see and ears to hear. The fire out of the mouth of true prophets is REPENT. To bring the truth of righteousness and holiness to hardened self-centered hearts who have fallen away from the Lord into lukewarm complacency. . . To prepare the way for the LORD. Luke 6:26 –Woe to you when all men speak well of you, for their fathers treated the false prophets in the same way. If our hearts are not seeking full truth, but seeking that which makes our ears get scratched, WOE to us, for the deluding influence will be our desire, with eternal damnation our destiny. Therefore, it’s critical to seek the Lord fully, truly have our hearts right with the Lord. Pray about ALL prophecies, especially those that are “feel good”, for we may be following a member of Luke 6:26. Many will be heading to hell suddenly, who did not repent, thinking all is well. Don’t follow any man or woman. Follow the leading of the Holy Spirit Yourself, for only HE can help you fulfil your destiny. Linda..I wholeheartedly agree with everything you have said..it is a time like no other in the history of mankind. …we would do well to stay in & of a HUMBLE & CONTRITE SPIRIT…& WE MUST TEST EVERYTHING IN THIS HOUR. Repentance is key – and the results are beautiful! I’ve been joyously praising Him all day because two of my employees came to repentance today over a long-standing issue! That is similar to my open vision this morning..i was above the earth but looking down mostly at the United States and it was at first complete black then he showed me standing up with my right arm held high and a lamp lit in my hand. I then looked down and saw other lights going on as well. I heard…its time!! Wow that is awesome!!! What an exciting vision, thank you for sharing!!! Jesus is so good to us, praise His Holy Name!!! Ok confirmation!!! Have you ever woken up out of sleep, uttering out words from the Spirit of God? 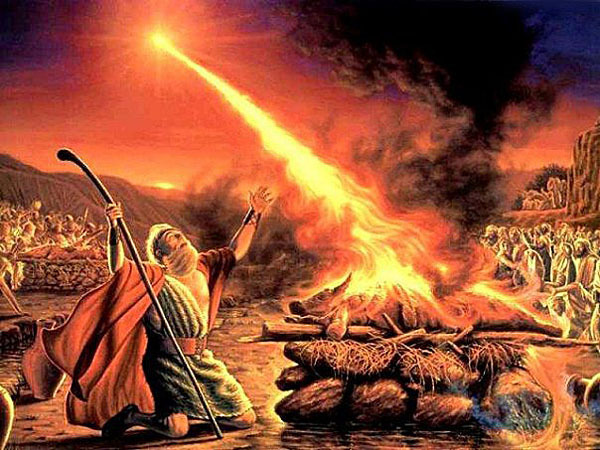 Last night I woke up feeling like I was still half asleep and asking the fire of the Holy Spirit to come upon me. I slept horrible last night but everytime I woke up I was thinking of fire. At one point in the night that I woke up, I felt like I was on fire! On a side note, I was babysitting my kids yesterday and the boy I watched was asking if there was fire in heaven. I got to have an opportunity to discuss with him that God is an all consuming fire and what Holy fire does. Omg I am still so excited!!! As soon as I saw the picture and title, I almost fell off my bed haha I laugh with such joy! Thank you for sharing sister Lana!!! God definitely has moved me in a new direction, thank you Jesus!!! “The earth is going to be set alight by the fires of revival!! !” – I believe that Lana, and I look forward to your posts as they are very often aligned with what He shows me. God bless you mightily, sister!